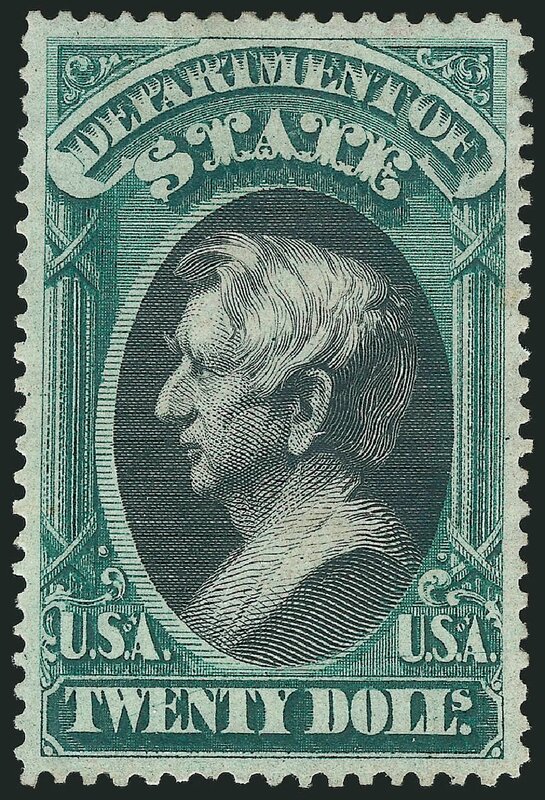 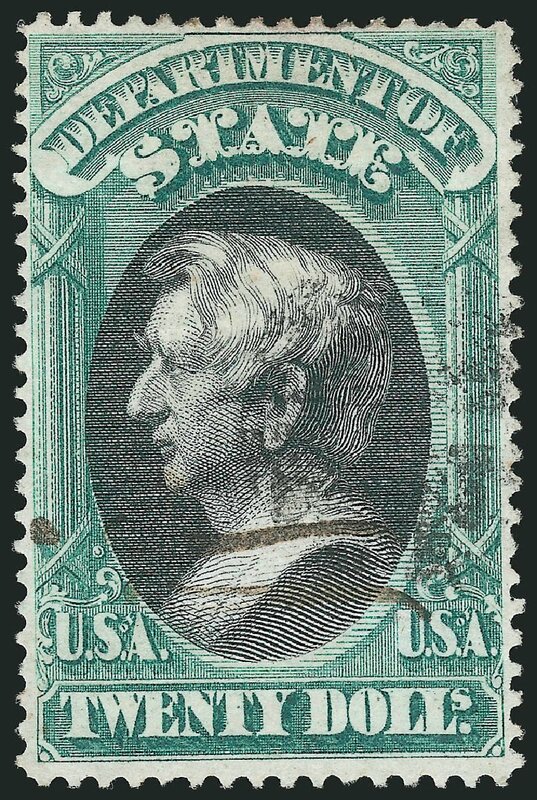 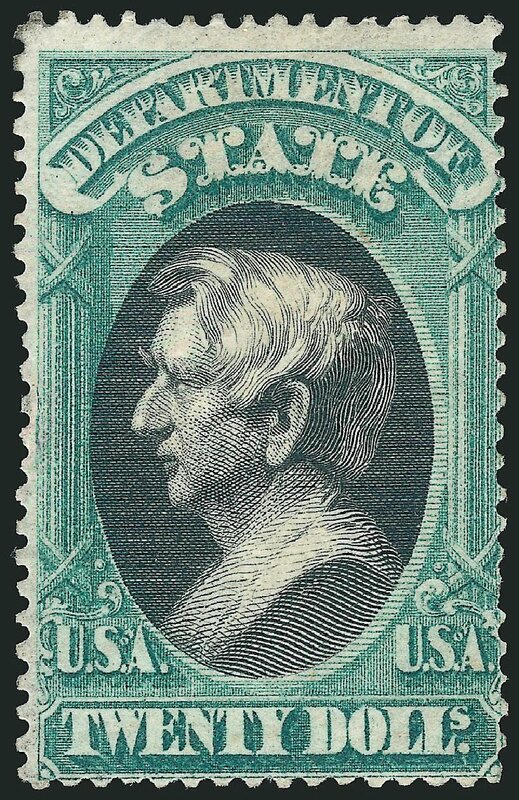 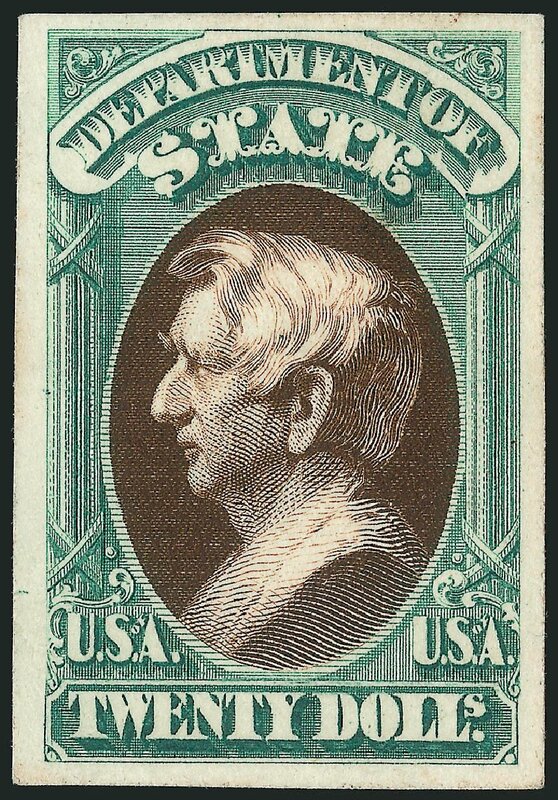 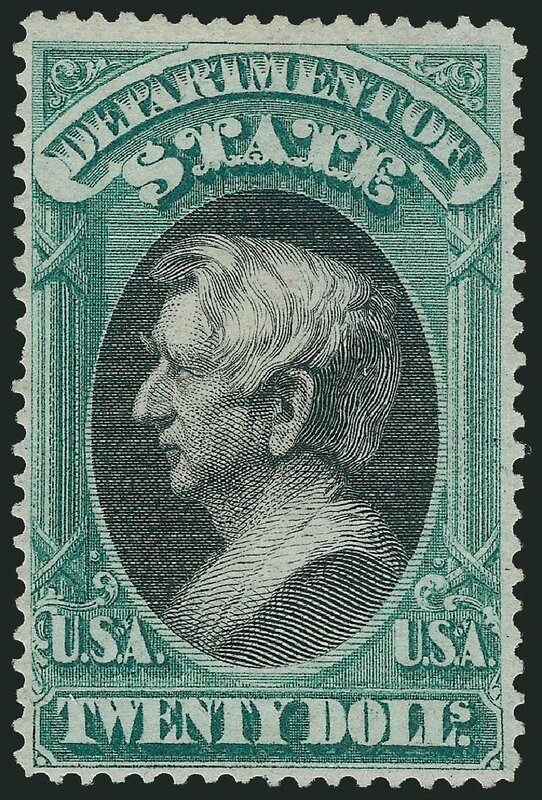 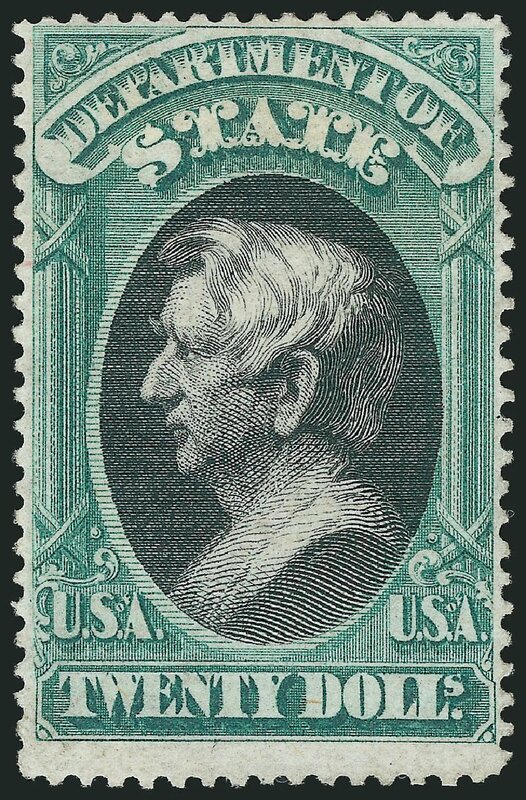 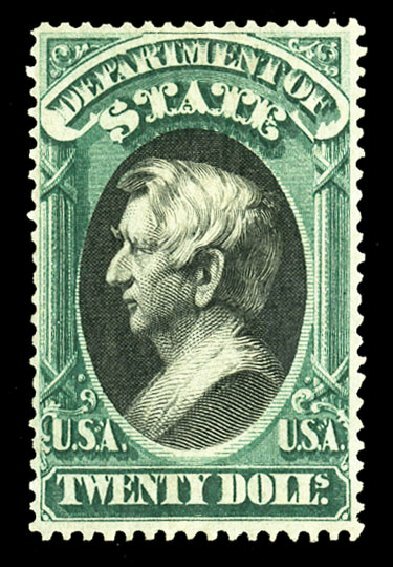 State Dept., 1873, $20 green & black. 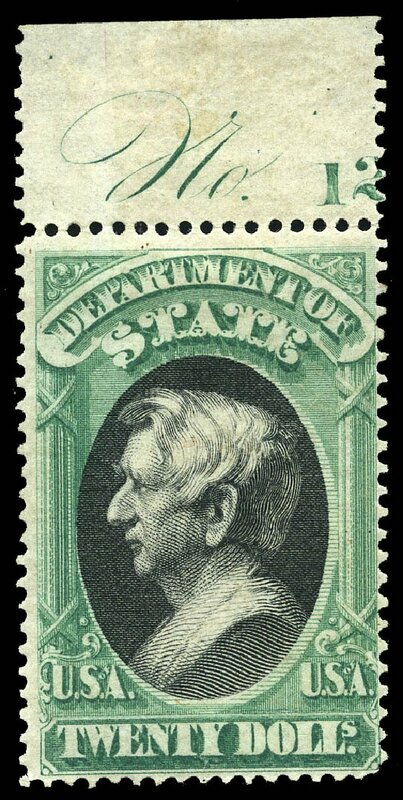 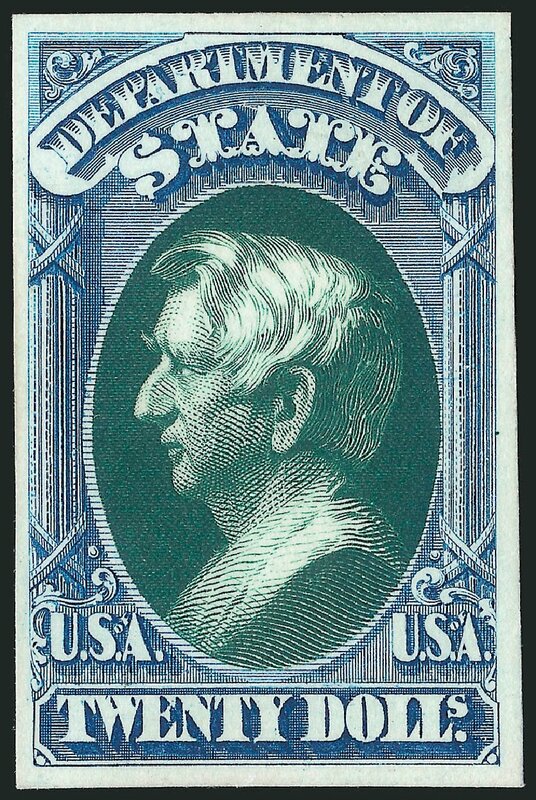 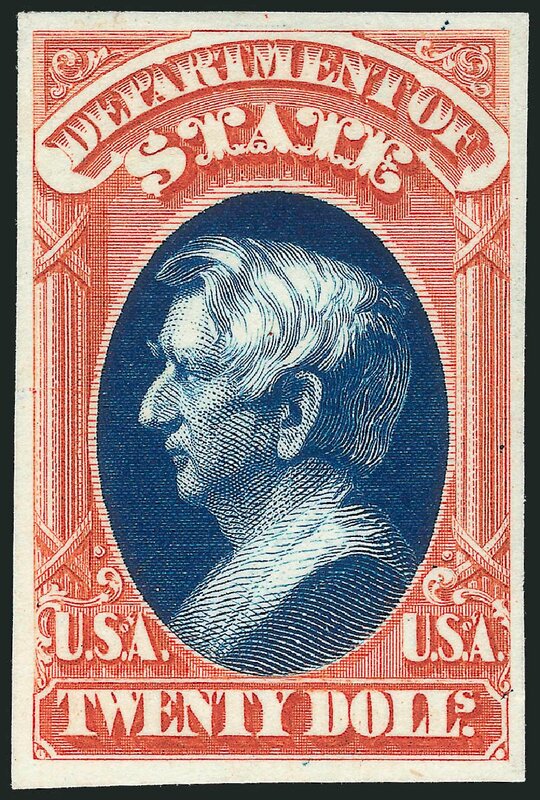 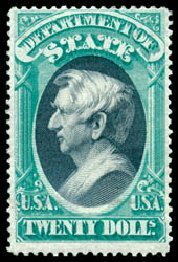 Full o.g., rich bold colors, F.-V.F., a nice example of this rare high value State Department issue. 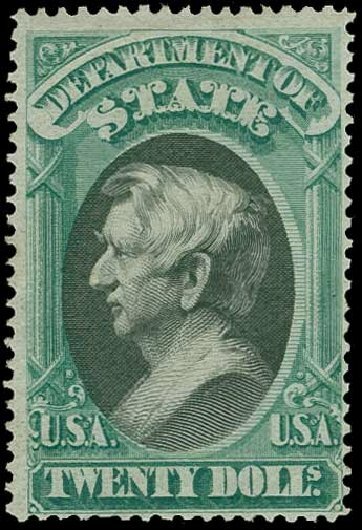 Scott No. 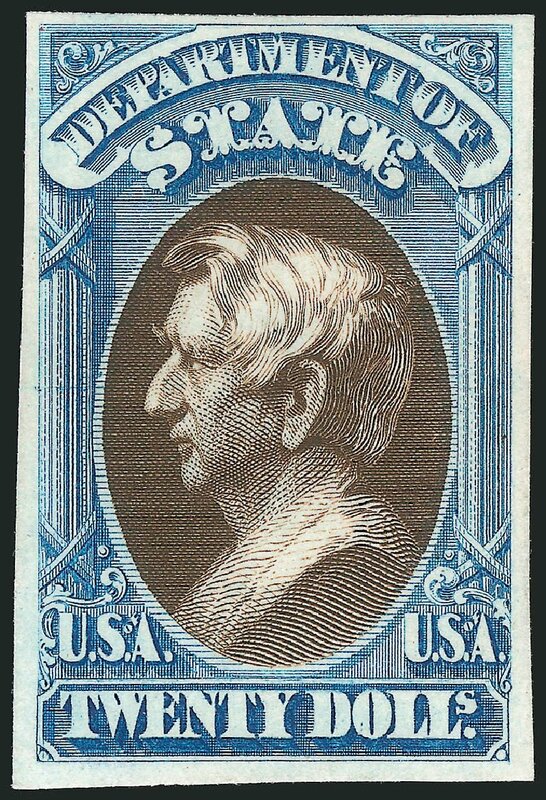 O71; $5,000.